Hi everyone I hope you are having a good day/night. I have been considering buying The Wolf Among Us. I have never played it before and the only character I only heard of Bigby Wolf. I wanted to ask... What are the positives to The Wolf Among Us? Please DO NOT POST SPOILERS!! but do try to explain what makes this game as good as everyone says it is. There are many things that make this game my personal favorite of all Telltale Games, but the two things that stand out for me are the story and relationships. Very good story, every episode's end makes you want to immediately play the next. Also, your relationship with each character is different and could depend on decisions you make throughout the series. Amazing game, good cop/bad cop solving an interesting mystery making all sorts of friends and/or enemies along the way! It sounds amazing!! I love it already. I can't wait to buy and play it. Thank You!!! 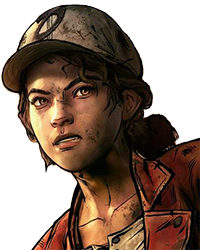 There are many things that make this game my personal favorite of all Telltale Games, but the two things that stand out for me are… more the story and relationships. Very good story, every episode's end makes you want to immediately play the next. Also, your relationship with each character is different and could depend on decisions you make throughout the series. Amazing game, good cop/bad cop solving an interesting mystery making all sorts of friends and/or enemies along the way! Hi Dylan! I had the same dilemma as you have, and just yesterday I saved up enough to buy it myself. I'm impatiently waiting for it to arrive in 5 days time so. The game, compared to recent Telltales, has this unique Complex detective story which fans are still wrapping their heads around 4 years later. Its complex, it makes you really think through your decisions, the character has this uniquely dark past that affects how everyone looks at him. The game is really immersive, and the color palettes are something to drool over. It has the perfect balance between action and mystery, and it has got plenty of both. Buying yourself the Telltale game allows you to try on all of the dozens of possible outcomes this came can have. Watching others play it won't be the same as experiencing it fully yourself, and it's fun to poke around the detective suit within this game. In all seriousness, it's an amazing game with a perfect mix of detective work, drama and noir. The characters are fleshed out and truly interesting, the story is captivating, the atmosphere is terrific, the soundtrack is phenomenal, especially for a noir game - just buy it! I promise you won't regret it.